Timeri N Murari has more than 14 published novels to his credit including many bestsellers. He has also written screenplays for various movies and plays. 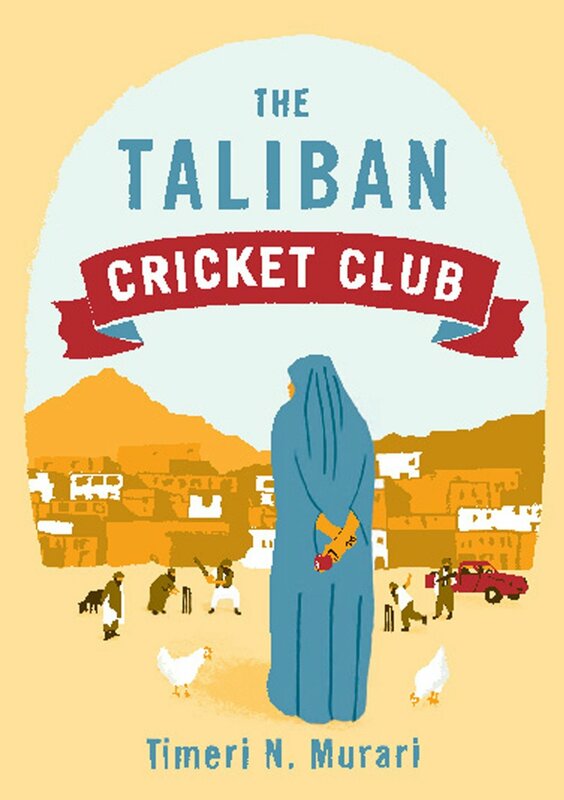 Truth be told, I wasn’t aware of his pedigree when I picked up The Taliban Cricket Club. Instead, I was quite intrigued at reading about cricket in a country which has suffered from wars for years on end. Moreover, the story of the Afghanistan Cricket Team has been a true fairytale even among those who don’t really follow cricket. Is the book as good as it sounds? Let’s check it out. Atulya Mahajan is an Indian author and is the creator of the Indian satire blog amreekandesi.com. Professionally a technologist in an investment bank, Atulya Mahajan went to the US in 2004 to complete his Master’s degree. He worked there for five years and then returned to India. He started his blog while studying in the US and used it as a platform to share his experiences of people living in a foreign land. Besides this blog, Mahajan also works with the Crest Edition of The Times of India as a columnist and writes occasional humor. Masters of America is his first novel. We have him here for an interesting tete-a-tete. Aseem: So now that you have reached the big league of celebrities, how does it feel? 😀 Are people running to you for autographs? Atulya: It feels awesome. You know, I go to Big Bazaar and they give me a free hamper. I go to the market and get mobbed as soon as I get out of my car. I go to work and they ask me to just sit back and relax and bring me a nice cold coffee, while the others do the work. Life just changes the moment you become one of a gazillion Indian writers. Yeah, right. In my dreams! Atulya Mahajan had sent across this book to me more than 6 months back. There were a couple of times I began to read it but due to my busy schedules at work, I couldn’t move forward. But finally, the day came and the book was read and done with in the space of just a couple of hours. 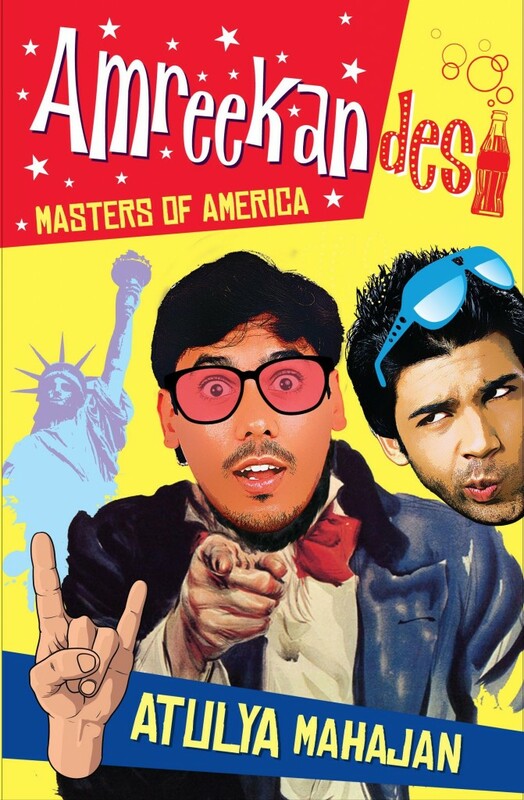 “Amreekandesi: Masters of America” is Atulya Mahajan’s first ever novel. But he is surely not a novice on the literary scene. He has regaled millions in India and across the world through his satirical comments, jokes and blog posts on social media since quite a while. So when I got to know about his book, I was more than excited to get hold of it. Does it work? Let’s check it out. Atulya Mahajan’s debut novel Amreekandesi: Masters Of America is a story of two Indian boys with the same dream of making a career in America. With a touch of satire, the story relates how these Indian students meet in the US while they are searching for their fabled American Dream. The protagonists of this novel are Akhil Arora and Jaspreet Singh, who are fated to become friends in this foreign land. These two characters come from different states in India – one is from Delhi and the other is from Punjab. Akhil Arora is portrayed as a young engineer studying in Delhi craves freedom from his overbearing family and wants to prove to them that he is capable of managing his own life. Jaspreet Singh comes from a small town in Punjab and calls himself Jassi. He wishes to live the American dream, akin to the movie American Pie. Jassi and Akhil meet in Florida and become roommates. While studying in the States, they take up jobs for survival. They become close friends and share their hopes and dreams with each other. Both of them are on extreme opposites as far as their perspectives are concerned. Akhil, is an ardent patriot and he wishes to return to India after spending a few years abroad. On the other hand, Jassi does not want to carry on with his Indian identity as it makes him feel embarrassed and uncomfortable. So, he has a plan to look for an American girl and settle down in America. While Akhil falls in love with Nandita, a girl he met on the flight; Jassi’s dream of living an American life is shattered at every step. In Amreekandesi: Masters Of America the author has included his witty insights and humorous anecdotes. While chronicling the classic experience of an immigrant, the author highlights the identity crises and survival in a foreign place. He highlights how people change when they live in a foreign land. Are our role models beyond genuine criticism? The last couple of weeks has seen two role models in the news day in and day out – Rajat Gupta & Lance Armstrong. Both were the best in their respective fields. Both inspired millions across the planet to live, to work, to be happy and contented. Both had achieved so much and more that they could safely say “I have done more than my part of the work God sent me for.” Both were legends in their own right. But then, they cheated. They showed the world that they are mere mortals like all of us. They showed the world that they are not God – a pedestal many of us had given them. They got punished, ridiculed and disgraced for their actions by millions across the world who revered them. But did all of us agree to that? Did we really believe that they had done something wrong? From reasons like “They are being unfairly targeted” to “The amount of charitable work they have done in their lives, even ten of us won’t be able to do”, people wanted to defend them. 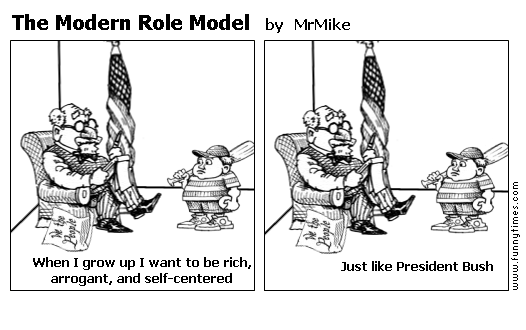 Can role models not do any wrong? Is it wrong to criticize someone for the right thing? Are role models beyond any criticism? If it’s not Osama its Al – Zawahri – Terror lives on with a new name!! 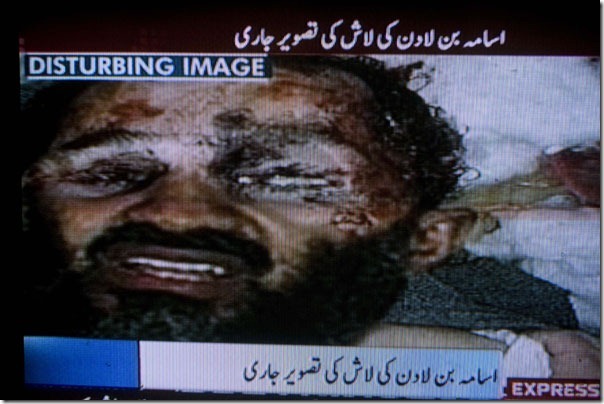 So Obama has proclaimed to the world that Osama has been killed in Abbottabad, Pakistan. And the news channels across the planet are following suit and racing to be the first in reporting such an important piece of news. 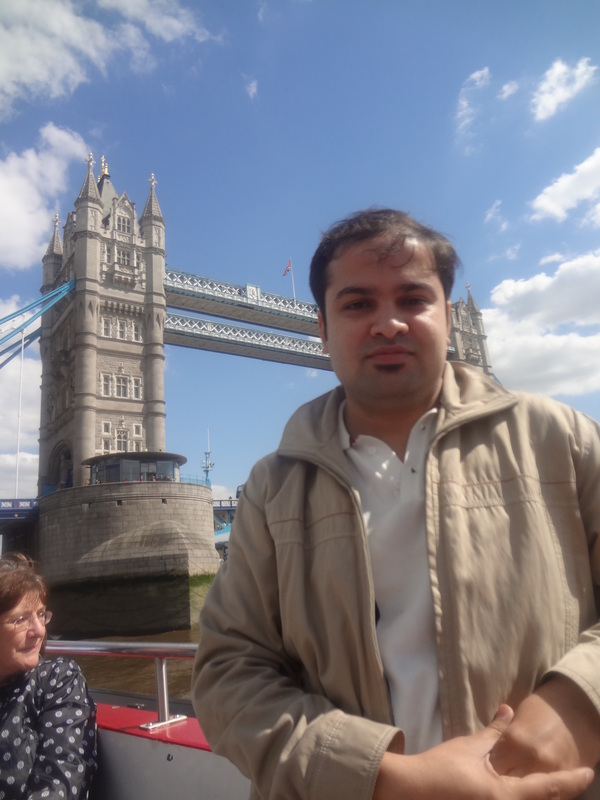 Then there is the news of Sohaib Athar, an IT consultant who claims to have live blogged the event. Then there are claims that he has already been buried in the sea and his 2 wives and some children have been captured alive. BBC and CNN seem to have broken the barometer set by our news channels of making any news BREAKING! 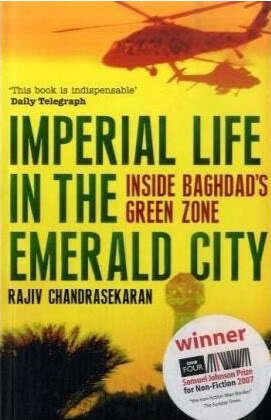 Book review – Imperial Life in the Emerald City: Inside Baghdad’s Green Zone – America’s true story in IRAQ!!!!! This is the first book I have read about the American occupation in Iraq. Its gives the real picture of what exactly happened during the 2003 war and in the years ensuing that. Rajiv Chandrashekaran is a writer and reporter who stayed in Baghdad for quite some time before and after the war. This book contains a lot of narration and also conversations which he had with various individuals of the CPA (Coalition Provisional Authority) – the administrative occupation force, the police force, army and other citizens of Iraq. The book starts off after the attack to overthrow Saddam was over. Even the false pretext of the invasion, the so called Weapons of Mass Destruction (WMDs) aren’t spoken about much. The book is divided into two parts – Building the Bubble and Shattered Dreams. As the name suggests, one signifies trying to build Iraq and other talks about the terrorist attacks and complete anarchy. The book starts off with how the Americans had built a home for themselves away from all the problems, destruction everything, aptly titled “Green Zone”. It was fully replete with Burger Kinger, king sized life like in the US, Halliburton trailers, amazing houses etc everything. Its very high blast resistant walls made everyone realise each time the dangers they were living in. To give a historical perspective, Iraq was one of the most developed countries in the Gulf in 70s and 80s. The Iran war and Gulf War had drained it off its resources. There were problems in Iraq like corruption but no terrorism and people were pretty satisfied. Jerry Bremer, the CPA head behaved like a dictator more than anything else. And this led to the ultimate disaster of what should have been the post conflict reconstruction period. People who didnt know anything about a particular field were put in charge of it. A man who didnt know a thing about finance was made in charge of the stock exchange. Privatization of all industries which wasnt even an important task was attempted with so much hurry. The Baath party loyalists of which Saddam was a part were removed from every department including the army. Schools and colleges were destroyed and there were no tables, desks and chairs. Electricity production was decreasing by the day and there was only 10 hours of power in Baghdad every day. Even the so called governing council, elections and also handing over of power was all done to show the media that everything was hunky dory. The Americans wanted to write the constitution as well despite reservations by Ayotallah Sistani. 1. When they started removing Baath party loyalists, it resulted in humungous increase in unemployment. 2. When they wanted to hold elections, instead of dividing the country into different constituencies, they made it into one and this way the Sunnis couldnt vote and mostly Shia’s came to power. This created a civil war. The writer brilliantly moves through his narration and conversations with people at breakneck speed portraying the state of affairs in that country. I have always hated America for the invasion. But after reading this true account, my hate has grown manifold. He rightly says that these Americans lived in Emerald City and made laws and rules thinking if it works in America, it would work here too but they were hugely mistaken. The writer deserves a pat on the back for braving all odds to put this book forward which I am sure would have brought a lot of condemnation. MY MAIN AIM OF WRITING THIS BLOG IS TO MAKE ALL OF YOU AWARE AS TO WHAT AMERICA REALLY DID IN IRAQ! One Iraqi man’s comment sums it all – “We wanted them to support us so that we can rise again. But instead they came and occupied this place as if it were their property. For the uninitiated this book has got the Booker Prize for Non – Fiction!! !